Comments Off on Congratulations to Sabina Gasperoni! 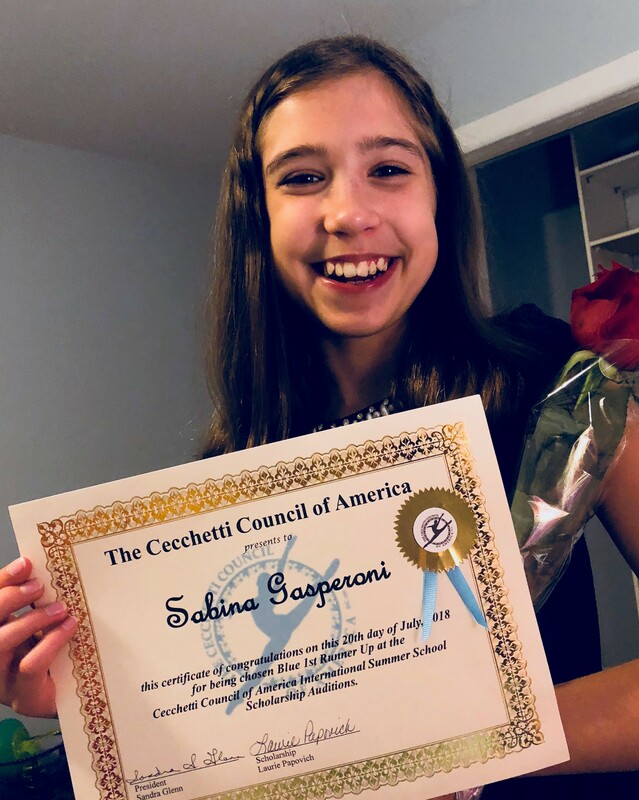 Congratulations to Sabina Gasperoni, Blue class 1st Runner Up Scholarship winner at the Cecchetti International Summer School 2018! « Congratulations to Johanna Yu!